Woa... that's that gorgeousness glowing in this hallway? It's illuminated artwork, that's what! 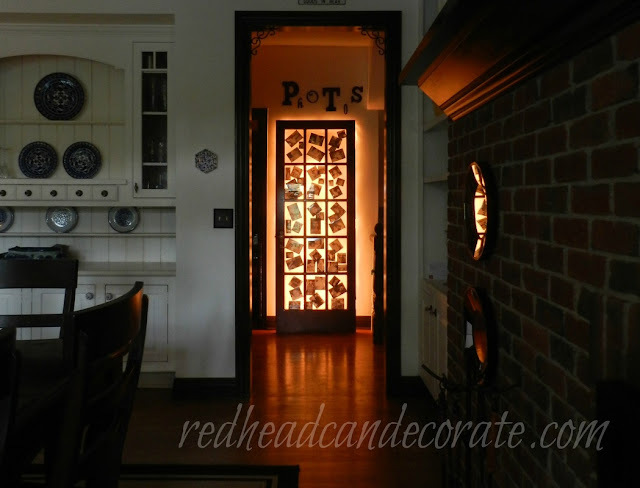 Julie landed this amazing windowed door and decided to display photos inside the window panes. 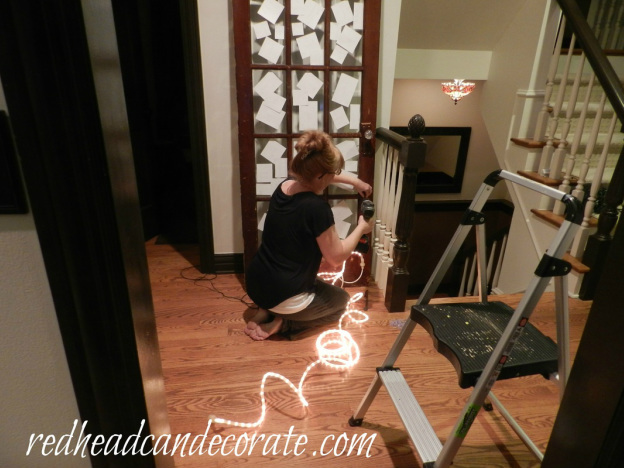 But she took it a step further and added rope lights! Now THAT'S a night light!